Betty Watts (President of Clyde River Women’s Institute), Emily Bryant (Chair of the Calendar Project), Douglas Gillespie (Chairperson, Community Council) and Nellie Wood who lives with her family in Clyde River’s stone house. 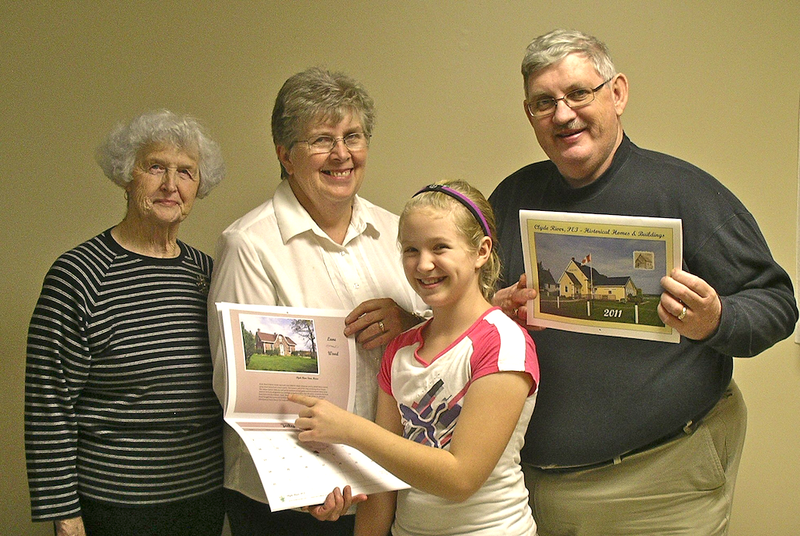 Christmas gift giving just got a little easier with the launch of the Clyde River Calendar. You can even make it an early Christmas gift, as the calendar includes December 2010 through to December 2011. 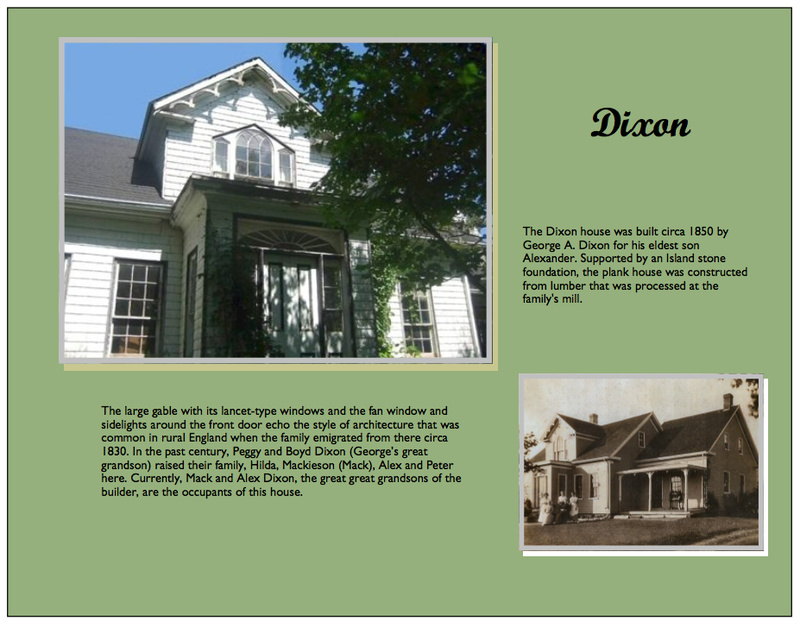 Each month features an historic home/building in the community with a brief history of the property. The calendar is a perfect gift for seniors, those who love Island history, those who are living away from PEI, young people who want to learn more about our history, regular folks who are connected to Clyde River, and you, too. However, like many perfect, “hot-item” gifts, there will likely be line-ups for this limited edition calendar, so you must act soon. As an added bonus, Clyde River’s calendar features Clyde River events. The price of the calendar is $10. They can be purchased from any Womens’ Institute member. You can contact Emily Byrant at 675-4203 for more information.